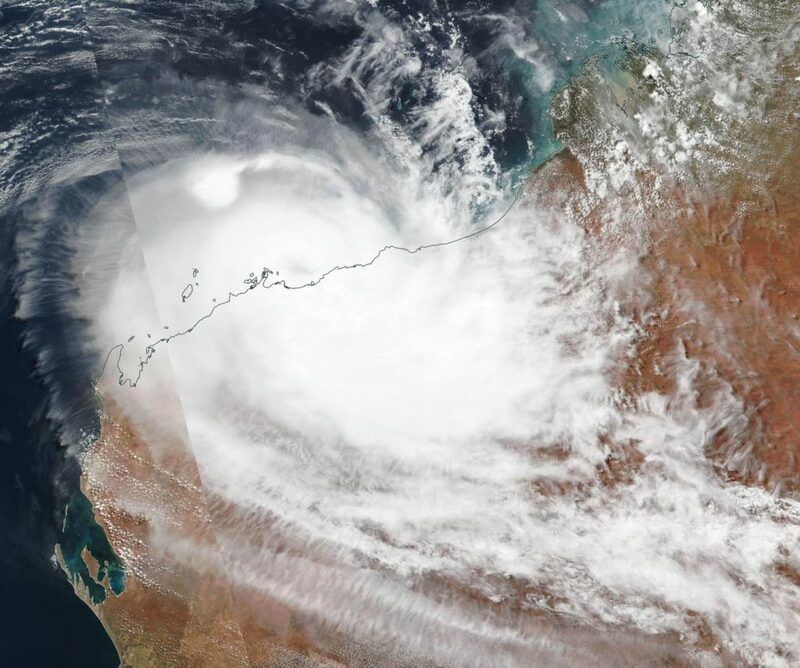 Early on March 26, Tropical Cyclone Veronica continued to move along the coast of Western Australia and NASA-NOAA’s Suomi NPP satellite provided a visible image of the storm that showed the storm was stripped of strong thunderstorm development around the center. 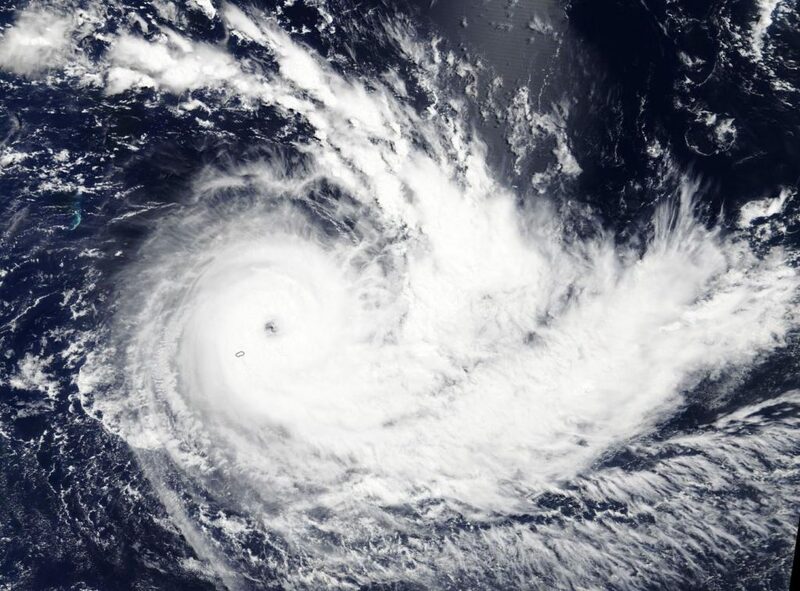 NASA-NOAA’s Suomi NPP satellite passed over the Southern Indian Ocean and captured a visible image of a rapidly dissipating Tropical Cyclone Veronica on March 26, along the coast of Western Australia. 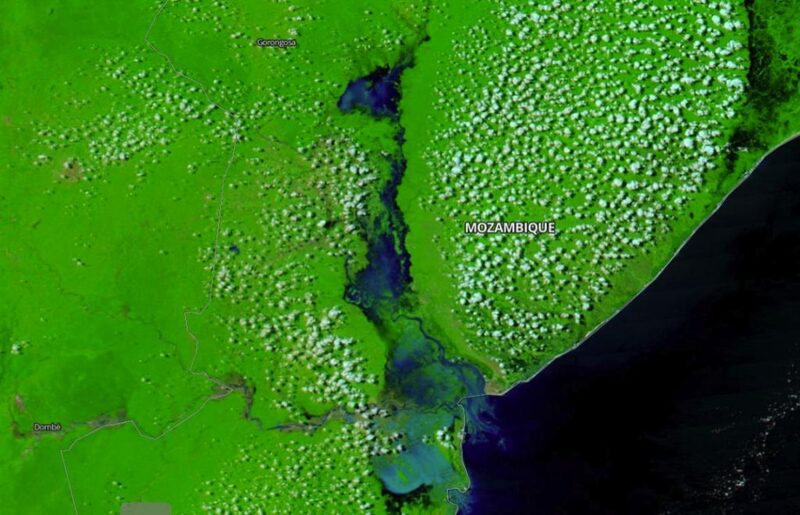 Credit: NASA Worldview, Earth Observing System Data and Information System (EOSDIS). The Joint Typhoon Warning Center issued their final advisory on Veronica at 11 p.m. EDT on March 25 (0300 UTC on March 26). At that time Veronica had maximum sustained winds near 35 knots (40 mph/65 kph). 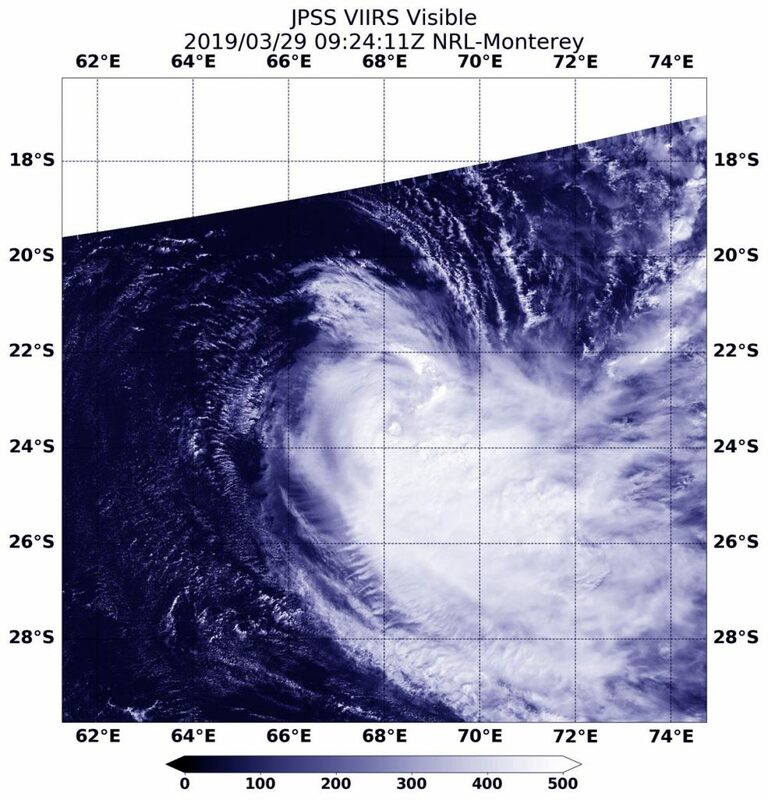 Veronica was located near 21.1 degrees South latitude and 115.4 degrees East longitude. 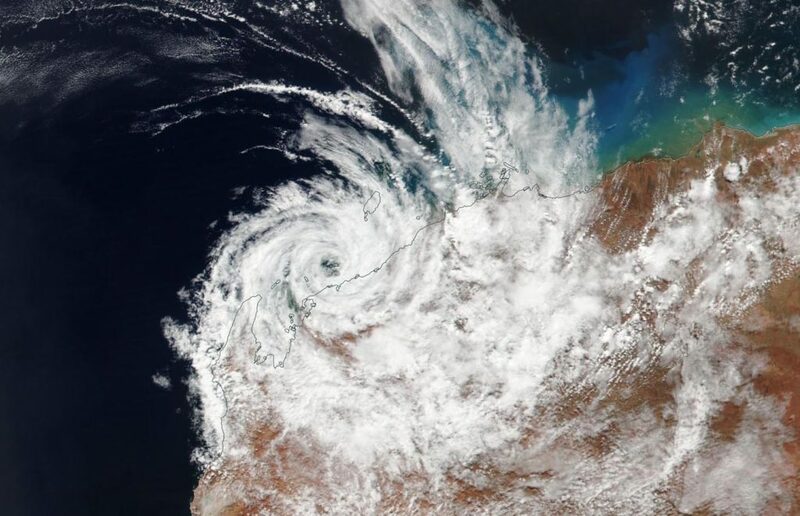 That’s about 123 nautical miles northeast of Learmonth, Australia. 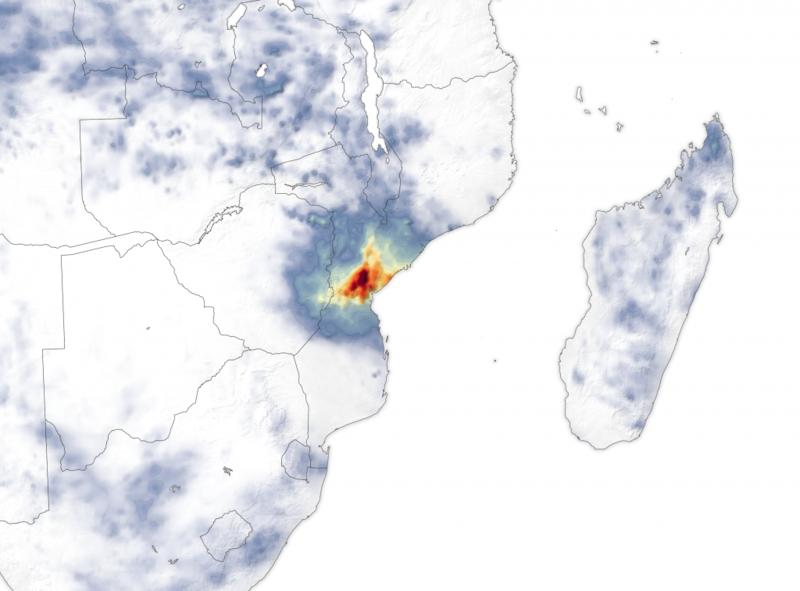 Tropical Cyclone Idai barreled into southern Africa. 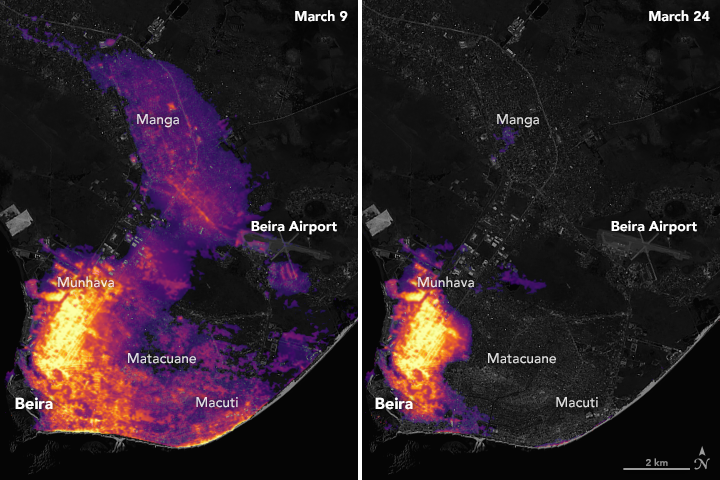 in mid-March 2019, leaving a deadly path of destruction in Mozambique, Malawi, and Zimbabwe. 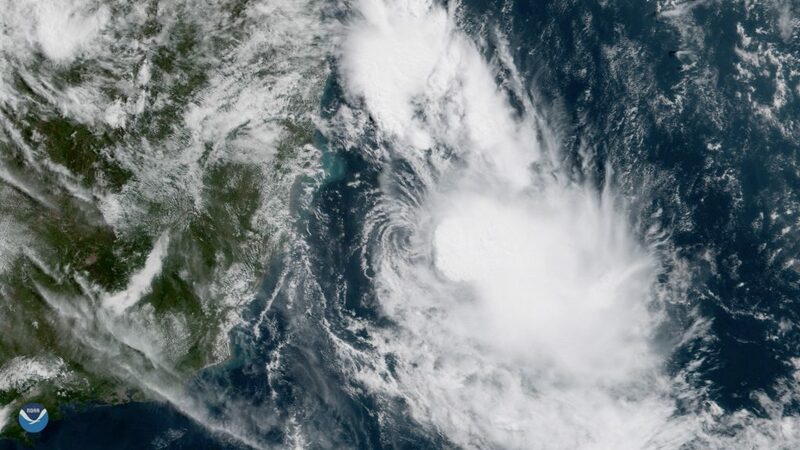 A rare tropical storm formed in the South Atlantic off the southeast coast of Brazil on Sunday, March 24, 2019. 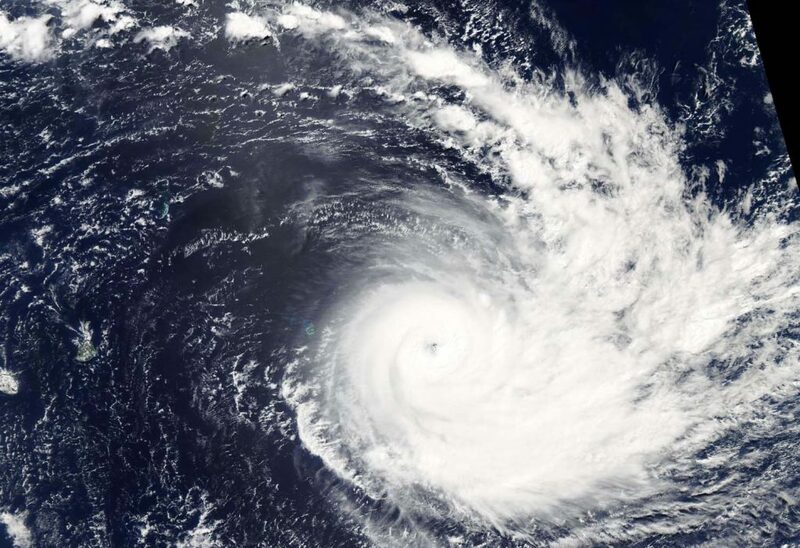 Tropical Storm Iba, seen here by GOES East, is currently located about 440 miles northeast of Rio de Janeiro, Brazil, according to the Brazilian Navy Hydrographic Center (BNHC).. Iba is the first named tropical storm in the South Atlantic in nearly 10 years. 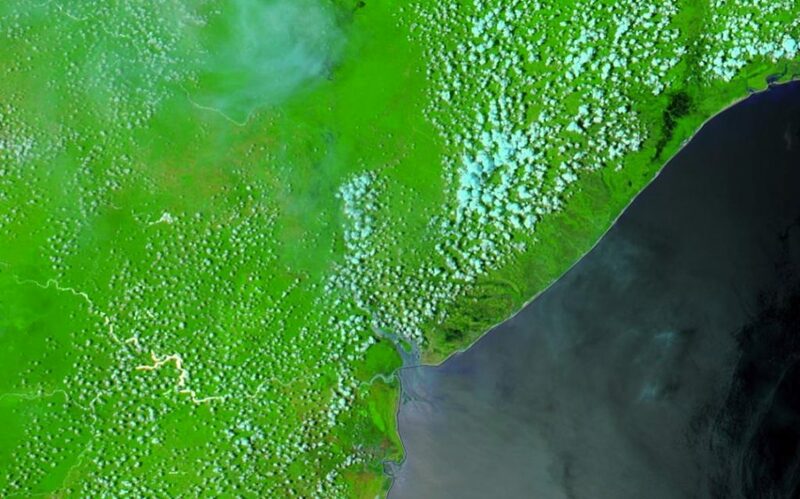 A rare tropical storm formed in the South Atlantic off the southeast coast of Brazil on March 24, 2019. 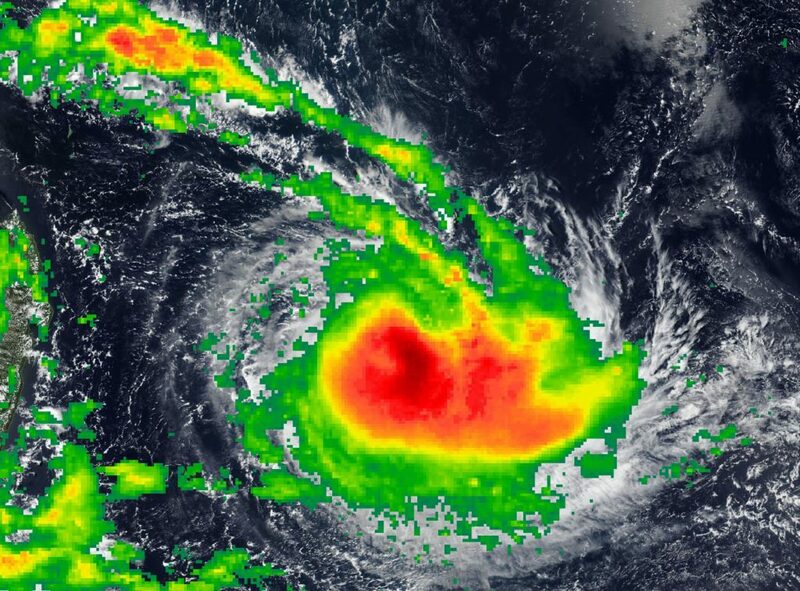 Iba is the first named tropical storm in the South Atlantic since 2010. 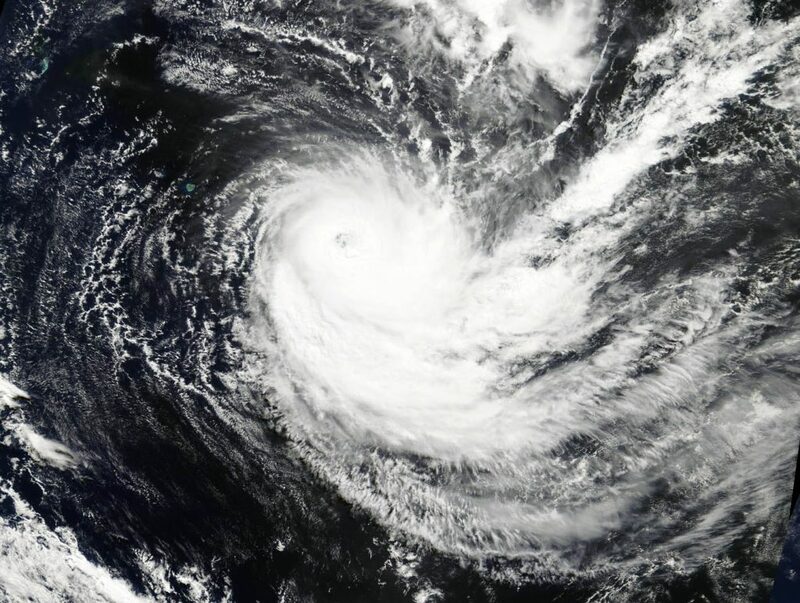 Only one known hurricane has ever been recorded in the South Atlantic. 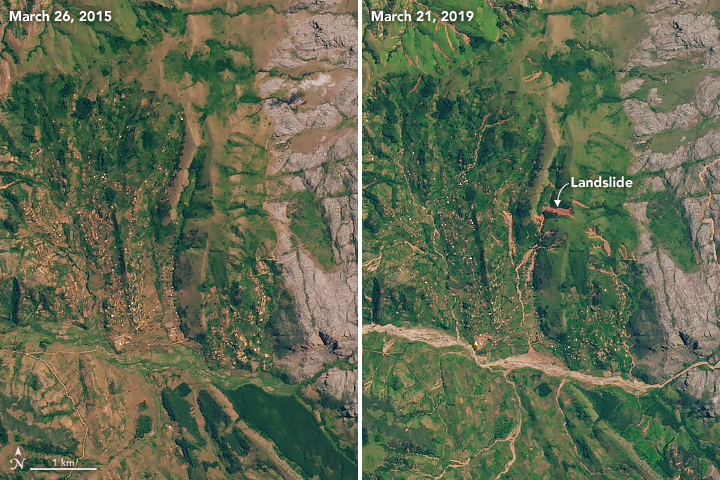 Hurricane Catarina made landfall over the state of Santa Catarina, Brazil, as a Category 1 storm on March 27, 2004. The lack of tropical cyclones in the region is generally attributed to cool sea surface temperatures and strong vertical wind shear according to the National Hurricane Center.